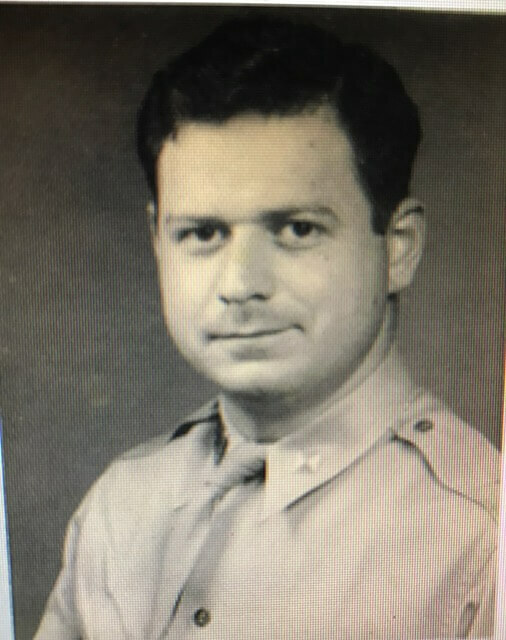 This living memory was submitted by Linda Landow, who discovered that a menorah sitting on a shelf held a treasured family legacy. Linda Landow (middle) with cousins Ida Lesserson (L) and Reva Rothenberg (R), Joe Landow’s daughters. This menorah had been on my top shelf for many years. As it is not the menorah I light for Chanukah, I paid little attention to it. Last year I finally took it down and looked closely at it and discovered Hebrew writing on the base. 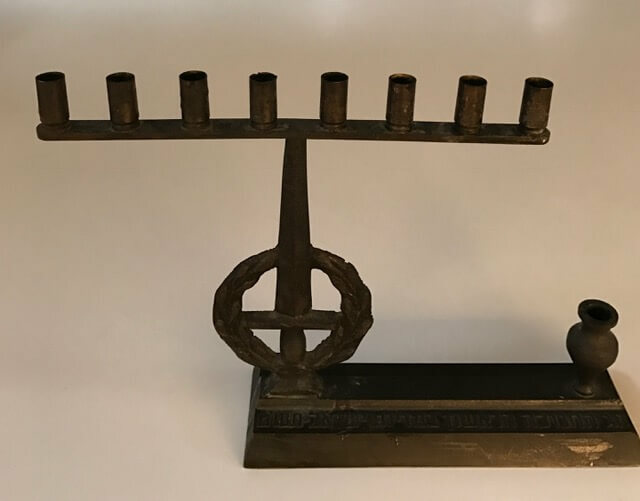 I asked a friend to translate it and was told, “This menorah is from the first Chanukah in Israel 1948!” It was also pointed out to me that the candle holders are made from bullet casings probably from the War of Independence! My husband, Lloyd, then realized that this menorah was given to him by his Uncle Joe Landow, his father’s youngest brother, who was very involved in the establishment of the State of Israel and the War of Independence. 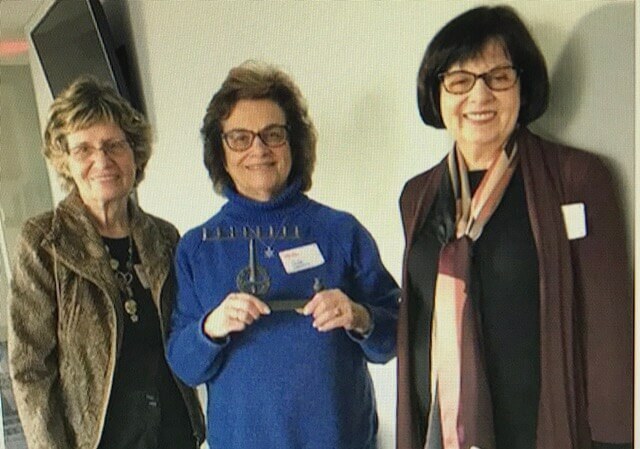 This menorah is now a family treasure that will continue to keep Uncle Joe Landow’s legacy alive. Menorah from the first Hanukkah in Israel in 1948. Candle holders are made from bullet casings.